Tomato seeds are easy to save and well worth the effort, especially with hard-to-find heirloom varieties. Saving seeds ensures you have a year-to-year supply of treasured tomato plants – both to grow yourself and to share with fellow gardeners. 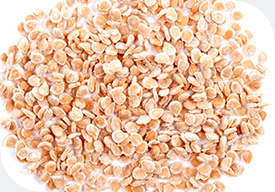 Make sure you’re saving seed from an open-pollinated heirloom variety, not a modern hybrid, as these won’t grow true from seed. To save tomato seeds, squeeze them out of the ripe fruit onto a saucer. Separate most of the pulp and scrape the seeds into a jar with half a cup of water. Leave the jar somewhere warm out of the sun for a few days, until a film starts to form on top. This means the seeds have started to ferment. Fermenting removes the gel coating that can stop seed germination, leaving your seeds clean and ready to store and grow. Pour the water off carefully, add fresh water, then swish it around and pour it off again. As the good seeds will sink, you will only pour off bad seeds and pulp. Keep doing this until the seeds are clean, then dry them carefully on paper towels. When they’re completely dry, store them in sealed containers in the fridge. Don’t forget to label the seeds during the different stages of saving them. When someone gives you some seed, find out all the information about it, then and there! Write it down so you can pass on the story with the seed when you share it.